Once I got started with these lace Halloween shirts, I just couldn’t stop! I showed you the Candy Corn Shirt that I made last week, and now I’ve got a couple more. 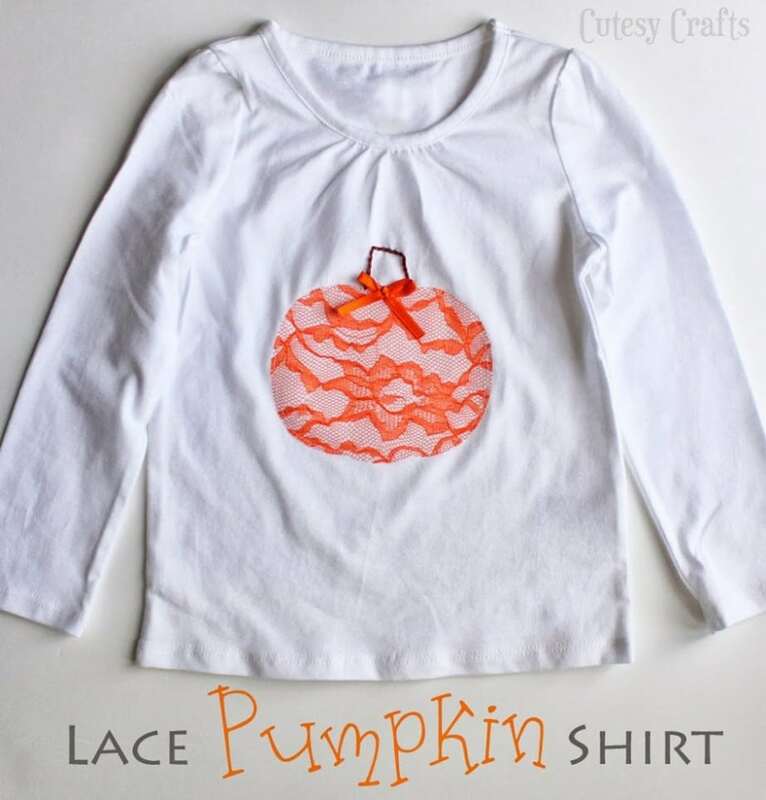 First up, a pumpkin shirt that I made for little Leah. 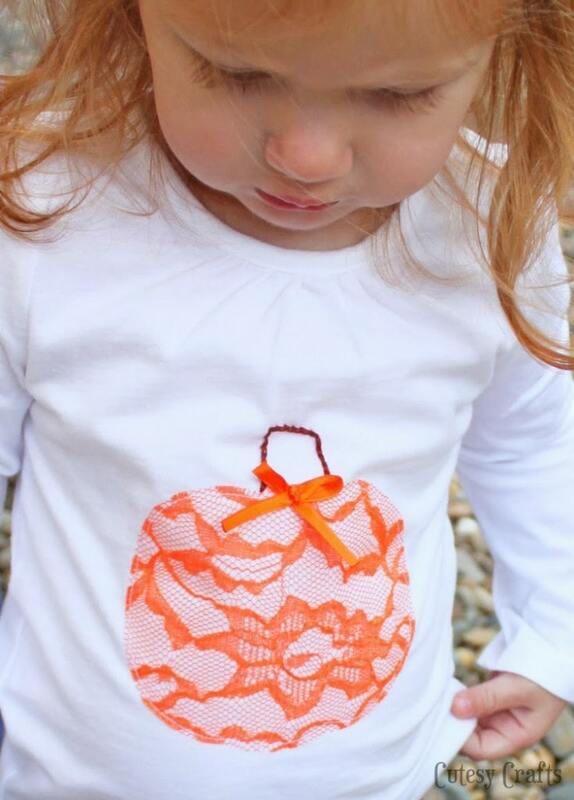 The steps are pretty much the same as they were for Candy Corn Shirt, so check out that post to see how to make it. The stem is just embroidered using a split stitch with all 6 strands of embroidery floss. 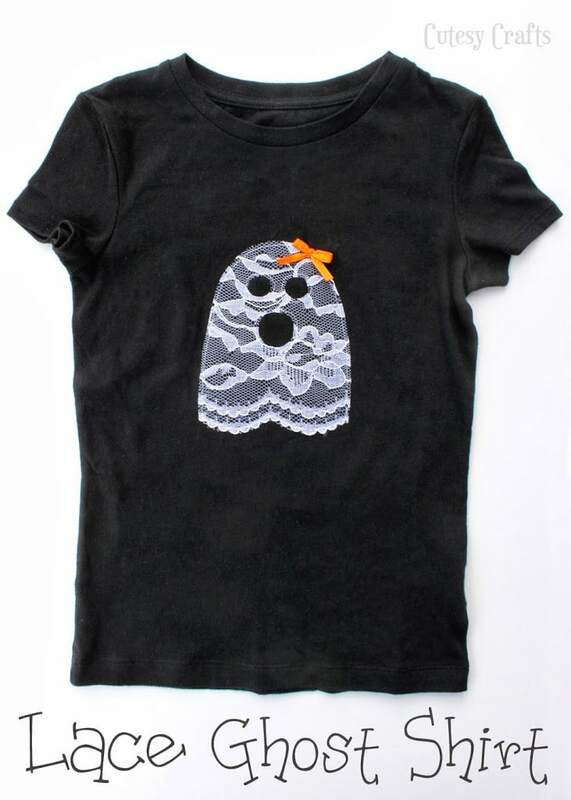 I also made this cute little ghost Halloween shirt for my niece. I love the little bow on the ghostie’s head! To get the applique patterns for these two shirts, click here. So there you go! 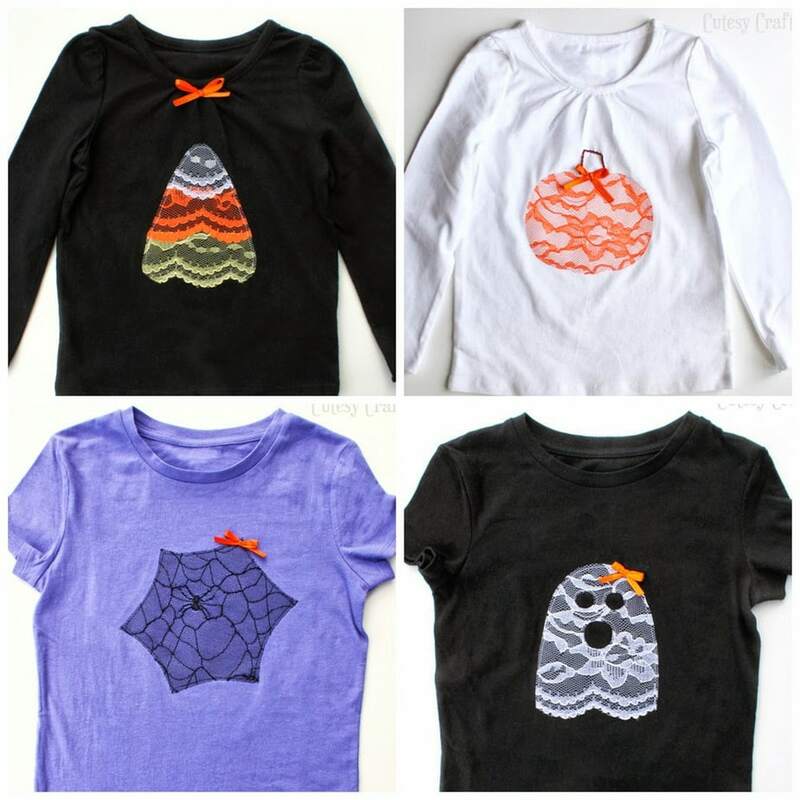 The candy corn shirt that I showed you last week, the spider web shirt that I shared on Or So She Says, and the pumpkin and ghost shirts today. Which one is your favorite? Mine is definitely the spider web one. Now I just need to think of a non-lace shirt for Evan. Hmmmm…. So stinkin’ cute! 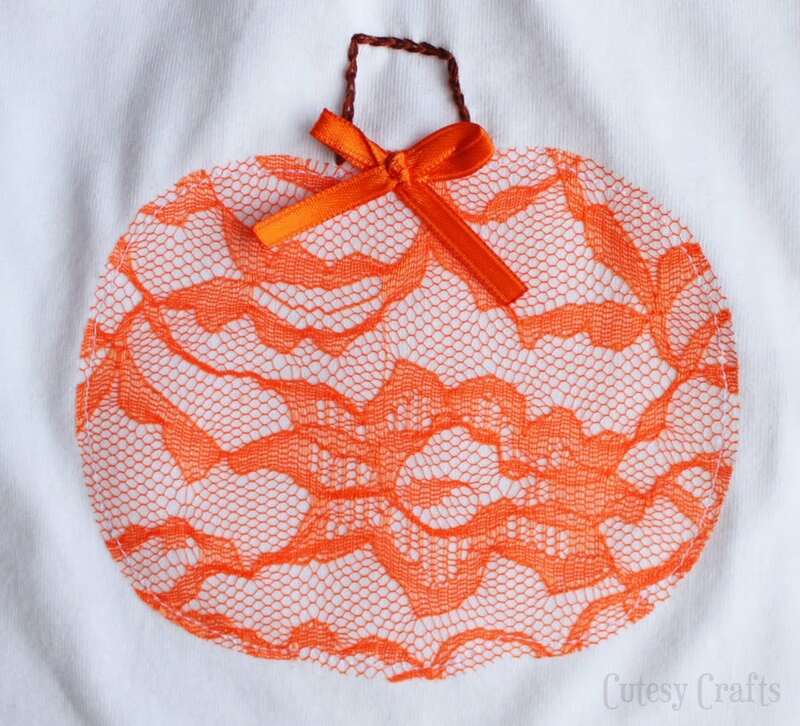 Lace pumpkins- gosh I wish I would have thought of it!! Thank you, Trisha! 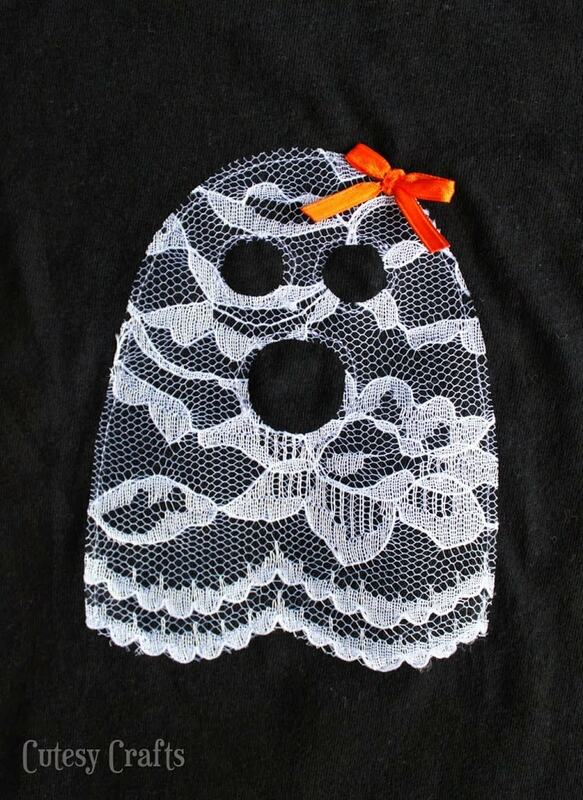 I had so much fun with the lace! I like the candy corn. Thanks Barbara! I love that one too! 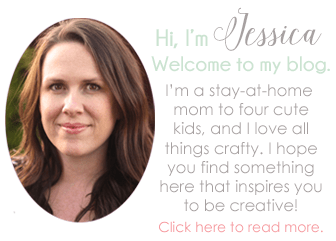 I think I might need to make more of these now that my girls have grown.